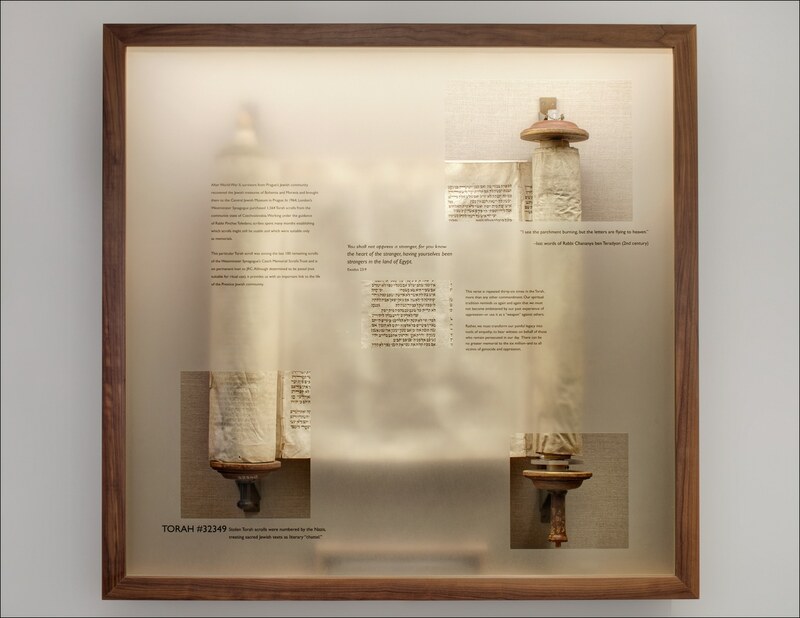 This installation of a Czech torah rescued from the Holocaust is both a memorial and an educational display. The torah is protected by a custom mount, behind a pane of plexiglass. The plexi is selectively frosted so as to reveal particular features and areas of text, focusing the viewer’s attention on these poignant fragments. The interpretive text overlaid on the object expands the message of universal rights and compassion told in the revealed Hebrew passages. Photos by Darris Lee Harris.